Looking for a job? Looking to hire? Looking for fun? 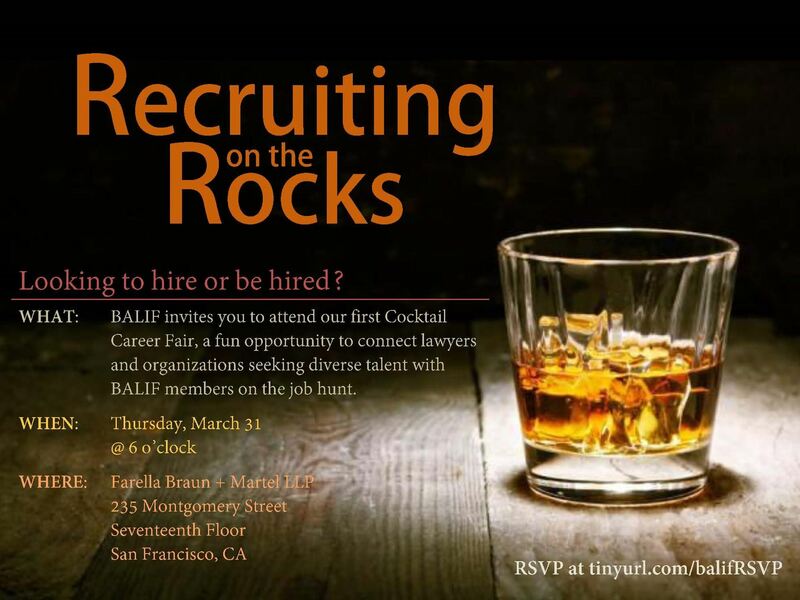 Then come to Recruiting on the Rocks - the most productive happy hour BALIF has ever seen! Combining elements of a career fair with the camaraderie of a happy hour, this is the perfect opportunity to eat, drink, and connect with fellow BALIF attorneys and law students. We will also announce and celebrate the Mentor of the Year. So whether you’re recruiting, on the job hunt, or just looking to have a good time (or all of the above! ), we hope to see you at Recruiting on the Rocks! Questions?